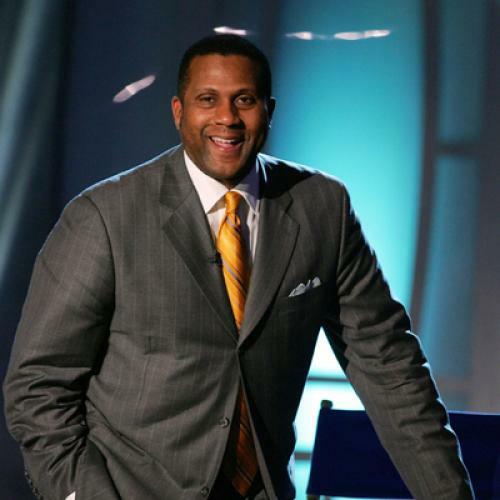 Not long ago, Tavis Smiley did something I would not have expected, which is rare. He announced that he was discontinuing his annual State of the Black Union conferences. These have been powwows where the Usual Suspects are invited to make the usual points: roughly decrying racism while genuflecting to the radical idea that people are responsible for repairing their own culture too. They have had black conservatives sprinkled in for “balance,” to be sure, but we all know the drill. For Smiley to actually allow an end point to this series was bracingly honest – he admitted that these days there are so many more outlets for black discussion that an annual event like that one was redundant. It was a gesture rather than an action. I should have known that wouldn’t last, I guess. Now, Smiley is convening, basically, another State of the Black Union conference – but this time, in opposition to black leaders who understand that President Obama cannot put forth a “black” agenda as opposed to one that helps suffering Americans in general. So what Smiley is suggesting, I take it, is that Obama is supposed to propose and shepherd into fruition programs designed to help the black poor but not the white poor. There will be more resources allocated to help the black poor than the white poor – because while a high tide lifts all boats “the boats didn’t sink at the same time” – in other words, we are to base this argument on history. And – Obama is supposed to get legislation of this type past Congress as currently configured. Really, people – this is kabuki. It’s also small-spirited: who can call themselves representing black people, progress on race, and the unity of humanity by urging that Barack Obama narrow his focus on poverty to the poverty of “His Own People”? Oh, of course no one espouses ignoring non-black poverty entirely – but the point is meaningless. Upon what grounds can we urge that black people even get lots more help, in America in 2010? But more to the point: who sincerely thinks anything concrete could come out of this “discussion” anyway? I do know what will come out of it. I’ve been doing the race thing in my spare time for ten years now and it gets me to thinking – what has changed since then? A lot – but it’s hard to say any of it has had anything to do with these eternal panel-style discussions, whether hosted by Smiley or not. They are so similar to one another that an anthropologist would readily designate them not as dicussions but as rites: everybody goes through the same motions in the same ways – but it’s unclear exactly what God is being appeased, or more mundanely, what purpose is being served. The first event like this I did was ten years ago now, at the 16th Street Baptist Church in Birmingham. The last one I did was two months ago in Houston. Both were broadcast by MSNBC – and I was struck by the extent to which they were the exact same event even beyond the shared network. Based on my experience, I’ll take a guess as to how Smiley’s We Count! The Black Agenda is the American Agenda will go. I know I’m going out on a limb here. Stay with me, this is a little complex: I venture that a major thread of the discussion will be the observation that although we have a black President, racial disparities persist in America. Never mind that the number of people attending or watching the event on TV who won’t already be aware of this could barely fill a minivan. And then some other dependables at events like these – speakers and the audience will respond with especial fervor to points made with, at the finish, an edgy intonation conveying a streety brand of indignation. The actual content of the utterance will be of minor importance. I have heard black audiences whipped up by this aspect of melody alone when what was said was leftist, conservative, in the middle, or utterly nonsensical – sometimes I suspect it would work if somebody read from a phone book. There will be a token card-carrying conservative who gets jeered. In 2000 I was mystified that Dinesh D’Souza participated; two months ago I was similarly baffled as to why Leslie Sanchez was interested. Afterwards, the word in the lobby and green room will be that the event was “great,” a “real discussion,” and so on. Everyone will go back to their hotel rooms and fly out the next morning to go back to whatever they usually do. And the discussion, “great” though it supposedly was, will cause not the slightest change in the life of a single human being anywhere on earth. The question is: what purpose will this discussion serve? Really, what will the goal be? I’m not interested in recreational speculations as to Smiley’s possible ulterior motives, nor do I think anyone is morally wrong to participate in such events or to seek the exposure. But if the idea is that the event is to serve some higher purpose, if the idea is that the event is important in any real way, what purpose can it serve? It’s time to start asking this question about these “summits” and “discussions.” I’m going to wait for a year after this “discussion.” A whole year – that’s long enough to expect at least some intimation of results. In March of 2011, late March to be precise, I am going to evaluate whether We Count! The Black Agenda is the American Agenda has had any effect on the lives of black people. I’m going to be as fair as possible. Obviously I have a suspicion how this is going to come out, but I’m going to go at it from a scientific frame of mind. I’m going to do my evaluation putting myself in the mind of someone who wants to show that there was an effect. That will include that I will allow evidence that something is going to happen even if it hasn’t yet – as long as it can be shown pretty clearly that the We Count! “discussion” people had in Chicago a year ago was a part of the reason why. And if I can really find some effect, I will broadcast it, right here. If the discussion these people have actually helps determine what happens in the White House, I will openly admit it and go from there. But if I find no such evidence, then I will suggest a moratorium on these black panel discussions, by Smiley or anyone else. Frankly I already do, hereby, make said suggestion. CNN should let the annual specials go. Race-related organizations seeking to publicize themselves should focus their panels on something besides “America in the Obama Era” – i.e. take a look at sincerely constructive ways of helping black people in America as we know it. Media people should stop pretending that these panel affairs are news. I would suggest letting them go for five years at least – to give people a chance to think some new thoughts, to let the routines too many now do at these events practically by rote a chance to fade in the mind. Otherwise, why waste the poor interns’ and production assistants’ time making them do detailed pre-interviews with each of the participants that massively overshoot the level of detail the discussion will entail? Why spend the money to rent the space or to buy the food? And – why distract people into the always tempting notion that talking with an edge is, itself, an action? Might not some of the people enthusiastic over “events” like these ask themselves: Do you feel that if you are not part of a “black agenda” then you don’t have an agenda at all? Do you feel a kind of emptiness at the thought of regarding yourself as just American? No, I am not sounding a corny note about how we’re all just people – see my support of using black American rather than African-American. But is there in these people perhaps a discomfort with the idea of advocating for poor blacks by advocating just for the poor? Do they feel that this leaves them unrooted? Do they feel that nothing has really happened if there isn’t a sense of “payback,” even if things happen? If so, we need to have panels about that, because that is a serious problem – and will get no one anywhere at all. In any case, I do feel confident enough in my suspicion as to whether this event will affect anything real to make this suggestion. Shouldn’t they just have a party? I mean it. It should be the kind of party where, as at many family reunions, there’s a microphone somewhere to the side of the band where people go up as they please to introduce themselves. Each person invited to this “discussion” could say their name and then say some tart things about racism, Clarence Thomas, or the failed legacy of Brown v. the Board of Education with edgy, percussive intonation and whip everybody up. It’d make for great television. All anyone would be expecting from it, whether participating or watching, would be entertainment – which would be, at least, honest.